Evening primroses are prized for their ephemeral flowers that open at night and fade by dawn, and for their delicate fragrance that fills the air at dusk. 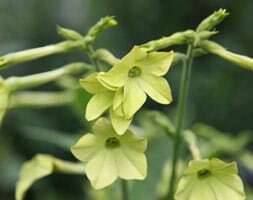 The bowl-shaped, pale yellow flowers which appear on tall spikes from June to September seem to glow as the light fades and age to dark golden-yellow. 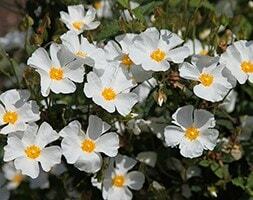 They are happiest in a sunny, well-drained border or wildlife garden, and as the name suggests, are biennial. The flowers are an important source of nectar for bees and other insects and the seeds are used commercially for making evening primrose oil.